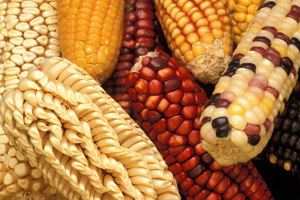 Latin America is rich with traditional gluten-free foods. That’s because wheat and other foods containing gluten didn’t even exist in the Americas, except possibly in a few small areas, until after the Europeans arrived. if you don’t see one of your favorites listed, please tell us about it. These were supplemented with other roots and vegetables, and meats, fish and seafood when they were available. There were other starchy gluten-free foods as well, including plantains, amaranth, and quinoa. And many that are limited to certain regions, such as arracacha in Colombia. In higher elevations of the Andes, potatoes have been cultivated for over 8000 years, resulting in many varieties, and many ways to preserve and prepare them. 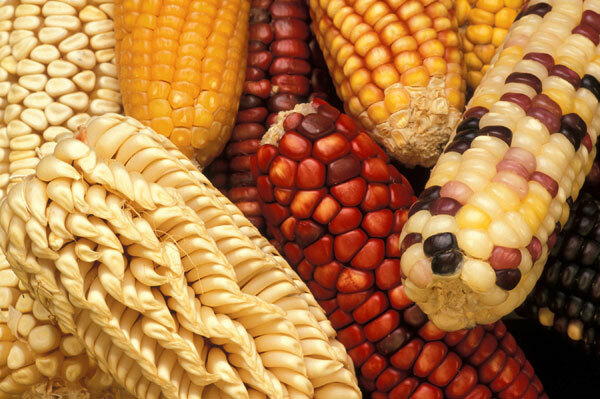 When the Europeans arrived, they brought new foods, but corn, beans, manioc and other starchy tubers remained the primary staples in most areas. Rice caught on as a staple in many of the countries, but didn’t diminish interest in corn or manioc. Wheat became available too, but unlike North America it didn’t become the primary staple. As a result, Latin American food is rich with an amazing variety of gluten-free foods. Some things like tamales can be found in most of the countries of Latin America. Baked plantain, as well as plantain, yuca, and sweet potato chips are also found in many Latin American cultures. I won’t repeat them for each country, except when they have regional specialties worth mentioning, like potato tamales of Guatemala. MEXICO has the biggest variety of gluten-free foods you might recognize, but has regional surprises, too. BREADS and GRAINS: tortillas are on every table, and tamales blancos (unfilled tamales) are sometimes eaten as bread. Totopos are fried tortilla chips, and some buñuelos are made with corn. Mexican rice is served with many meals. DESSERTS: Dulce de leche flourless chocolate cake, tamales de eloté (sweet corn tamales), almond or garbanzo bean cakes (tortes), rice pudding, and flan are all Mexican favorites. tacos, tamales, tortilla soup, tostadas, sopes, gorditas, enchiladas, flautas, chilaquiles, papatzules, posole. ARGENTINA is known for beef, beef, beef. But they also have many gluten-free foods that are specialties, such as savory humitas (tamales) made with fresh corn and wrapped in fresh corn husks. Sautéed onions and tomatoes are mixed in with the dough, but no other filling is used. BOLIVIA serves up humitas with cheese. BRAZIL is a very large country in South America with a wide range of regional cuisines, but the staples are still gluten-free foods: corn, beans and manioc. Manioc is probably the most popular. Bahian cuisine, or Cozinha Baiana, is the Brazilian Creole food from around the area near the port of Salvador. (See about Creole food.) The 3 common ingredients, or holy trinity, of many Bahian dishes are very different from Louisiana Creole of the United States. Dende oil (palm oil), coconut milk, and malagueta peppers. BREADS: biju is a manioc and coconut flat bread, Pão de Queijo is a manioc and cheese bun. SIDE STARCHES: Farofa is ground and roasted manioc–a staple on every table in Brazil. It is sprinkled liberally on any kind of food that has any moisture, acting as a thickener, but mainly supplementing the dish with a starch component, rather than eating bread or grains. Bolo de Milho is a molded, unsweetened corn “cake” from Eastern Brazil served as a side dish at any meal. MAIN DISHES, SNACKS, APPETIZERS: Acarajé: black-eyed pea fritters cooked and sold on the street; Abara is the same mixture prepared like banana wrapped tamales; Ximxim: Bahian chicken and shrimp with coconut milk, served with rice and farofa. In Brazil you’ll find 2 types of tamales: juanes, wrapped in bijao leaves, are found near the Amazon, and in other places they make pamonhas. A specialty of Northern Brazil are sweet pamonhas made from fresh corn, coconut and yuca. BREADS and SIDES: Chapale chileno (Chilean potato bread) based on potatoes and cornmeal. Milcaos are potato cakes eaten with honey or applesauce (when baked), or butter and applesauce (when fried), or used as a top layer for their famous fiesta preparation called pulmay. DESSERTS: Sopaipillas, fritter made with yams or pumpkins. (Look for some without wheat flour!) Sometimes the milcaos mentioned above are steamed in milk with spices, honey and butter. MAIN DISHES, SNACKS, APPETIZERS: Porotos Granados (pumpkin and fresh cranberry bean stew with fresh corn and tomatoes); Humitas (corn tamales); Pastel de choclo (a meat pie with a fresh corn custard instead of a crust); Chupe (a Chilean thick, savory soup that may be made with cornmeal, called chuchoca, and potatoes); Pulmay is a fiesta preparation of layers of seafood, vegies and meats with a layer of milcao (potatoes) on top. COLOMBIA is the home of the famous Enyucado de coco, which is a cassava coconut cake, and patacones–twice cooked plantain fritters that can be used like tortilla chips. Pan de yuca, which means yuca (cassava) bread, is more like a horseshoe cookie–unsweetened–often eaten for a quick breakfast. ECUADOR blends quinoa with corn to make its tortillas and tamales. PARAGUAY enjoys a spoonbread called Pan paraguayana so much that it is served at weddings and homecomings. It’s sort of like polenta but with cheeses, eggs and spices. PERU is a place you’ll likely find quinoa dishes, such as quinoa “risotto” or quinoa cake, and tamales made with quinoa. The tortilla de papas is one of my favorite gluten-free foods. 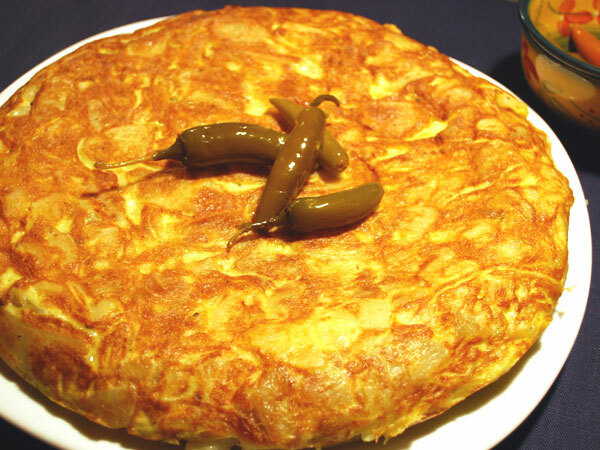 Its also known as tortilla de patatas, and is popular in many Latin American countries. 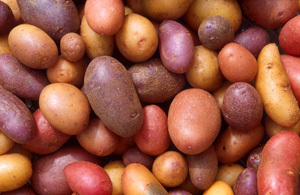 Although it is commonly thought that the dish originated in Spain, where it is known as “tortilla española”, the potatoes originated in Peru, and some believe so did tortillas de papas. URAGUAY has a specialty called torta frita, which is a type of sopaipilla that’s quite different from the wheat flour sopaipillas popular in the US. It’s a fried or baked corn tortilla spread with dulce de leche, a sweet, caramelized milk sauce. VENEZUELA is one of the countries that makes use of the large white Andean corn to make arepas. Arepas are basically corn tortillas made with different corn. They come in many sizes and shapes, including some that look similar to English muffins. Some varieties are lighter and more bread-like, and are used for sandwiches. Other gluten-free foods of Venezuela are cachapas, which are fresh corn pancakes that are sold as a snack on the streets, and empanadas made with corn or plantains. EL SALVADOR is known for papusas, which are thick corn tortillas usually filled with cheese or meat. Tamales de eloté, or sweet corn tamales, are often served as part of a meal. In other countries such as Mexico they are more likely to be a breakfast food. GUATEMALA sometimes serves tamales made with potatoes instead of corn. CUBA has a fascination with yuca. They love their yuca frita (fried-sort of like French fries), but they also fry long yuca shavings called mariquitas de yuca, or make it into frituras de yuca (yuca fritters). The US wouldn’t be considered a Latin American country of course, but it does have huge Latino populations, and some great gluten-free foods. Prior to the Mexican-American war a huge part the western United States, from Texas to California and as far north as part of Wyoming, was part of Mexico. And in Florida there’s a large population of Cuban immigrants who left Cuba when Communist rule began. So there is a lot of Mexican food, especially in the west, and Cuban food in the Miami area. The main reason I’m putting the US on this list is for the spin-off cuisine of New Mexico that is very different than other Latin American foods. 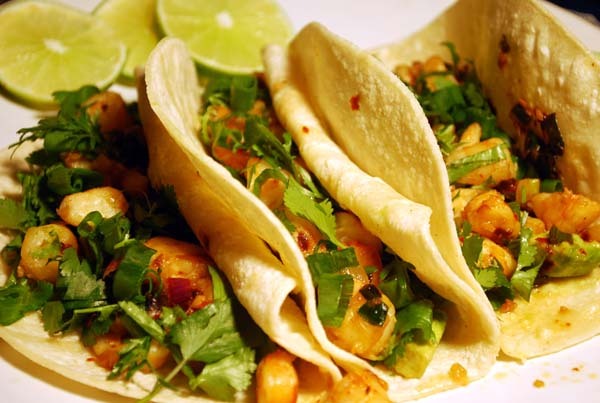 New Mexico has a very distinctive cuisine that combines Mexican and Southwestern Native American influences. Open-faced blue corn enchiladas made with New Mexico chiles, are very different from the Mexican enchiladas made with a tomato sauce. They’re one of my favorite gluten-free foods, and worth a special trip to Santa Fe if you don’t live in an area where the New Mexican chiles are grown.